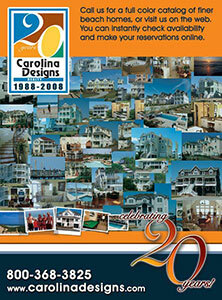 Magazine ad design for Carolina Designs on the Outer Banks of North Carolina highlighting their 20 anniversary logo. 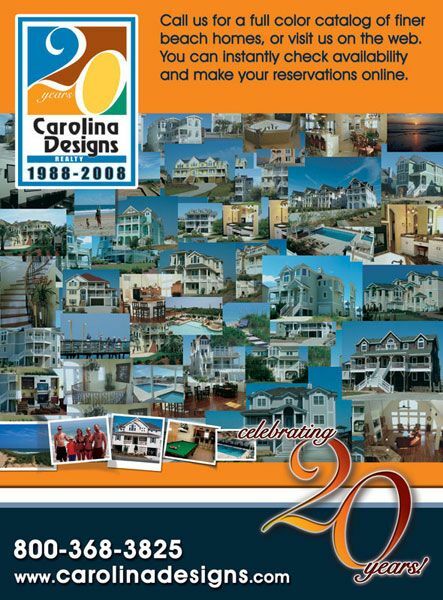 The add plays on the 20 yr theme by displaying images taken of homes, vacations and staff over the last 20 years. A very fun ad!